The EMU Australia Anda is a fashionable, slim silhouette, pull on women’s mid calf boot. The versatile double face sheepskin shaft can be worn up or down to create two different looks, while the sheepskin lined suede vamp and heel offers a structured slim and feminine fit. 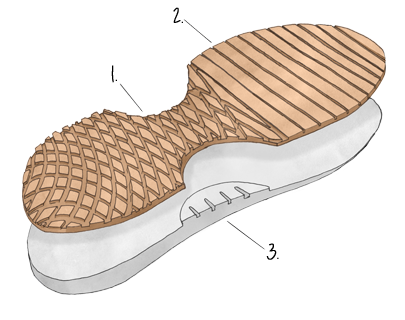 A memory foam footbed and soft wedge midsole offers all day comfort and cushioning. The women’s mid calf Anda boot is thoughtfully crafted from premium Australian sheepskin and suede. Well-designed details allow the Anda to be worn with the cuff up, or down to expose some of the luxury sheepskin inner. Cute button detailing on the rear of the boot add to its feminine appeal. Made with a streamlined silhouette to flatter the foot and a durable and supportive footbed, the Anda is a new winter wardrobe staple!